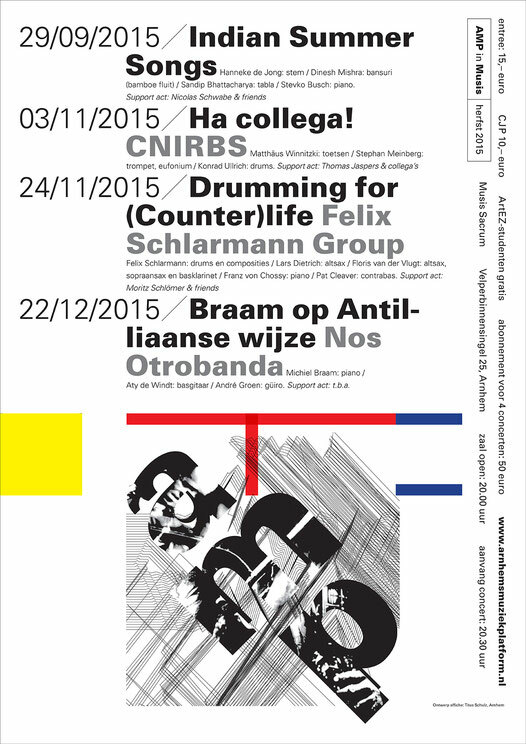 posters and calendar - De website van titusschulz-drukwerk! 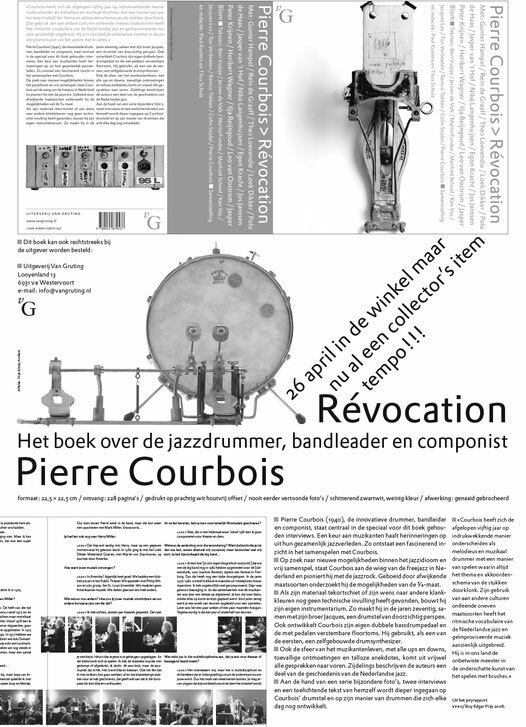 A poster to promote the book: Pierre Courbois – Révocation, Van Gruting Publishers, Utrecht. 42 x 59.4 cm. Black digital print. 2010. Book cover (above) and a page design (bottom left) also designed by me. Poster and logo for AMP (Arnhem Music Platform). Black digital print, colour prints done by hand in blockprint. 2015. 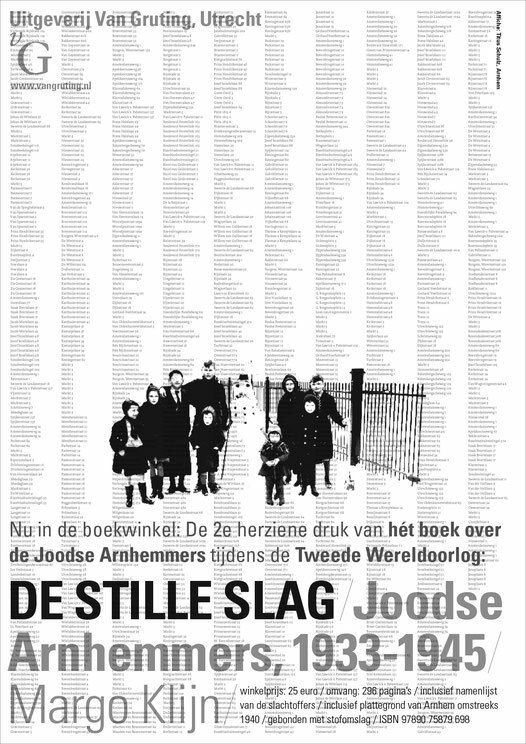 A poster to promote the book: De Stille Slag, Van Gruting Publishers, Utrecht. 59.4 x 84.1 cm. Black digital print. 2014. The ten columns show us all the addresses of the Arnhem Jews deported and killed by the Germans in WWII. Koekange's Schrootkalender. 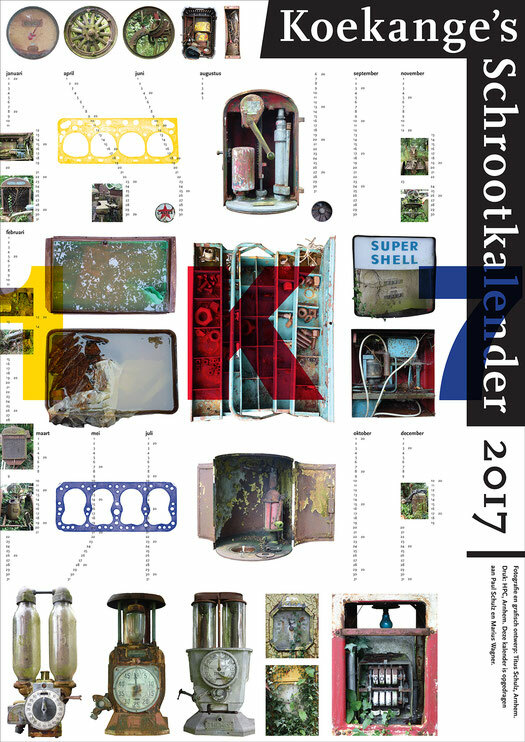 One sheet calendar for 2017. 59.4 x 84.1 cm. Digital colourprint. I made the photographs in the small town of Koekange (Holland). 2015. One or more copies for sale.